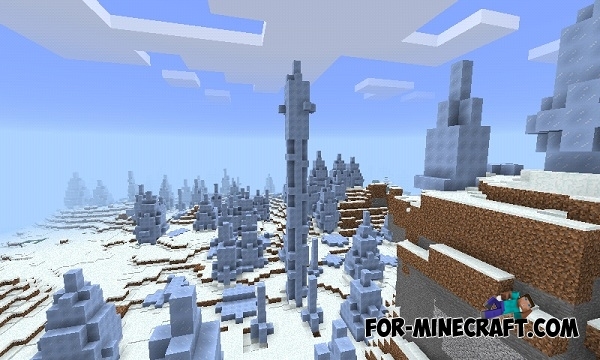 This snow biome occupies a huge area, so you will need some time to explore it. 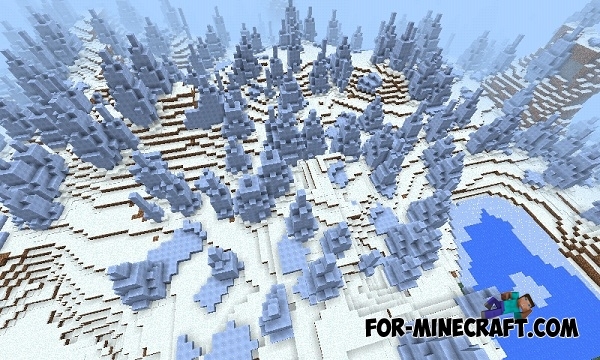 This is by far the most extensive ice biome that you have ever seen. You spawn next to the river. Walk along the river through the snow, and find yourself in the right place in a short time. There are collected the spikes of all shapes and sizes, some of them really hit by its scale. Village Ever map for Minecraft PE 0.11.XYou can see a lot of buildings related to popular films and computer games, which you are very familiar!